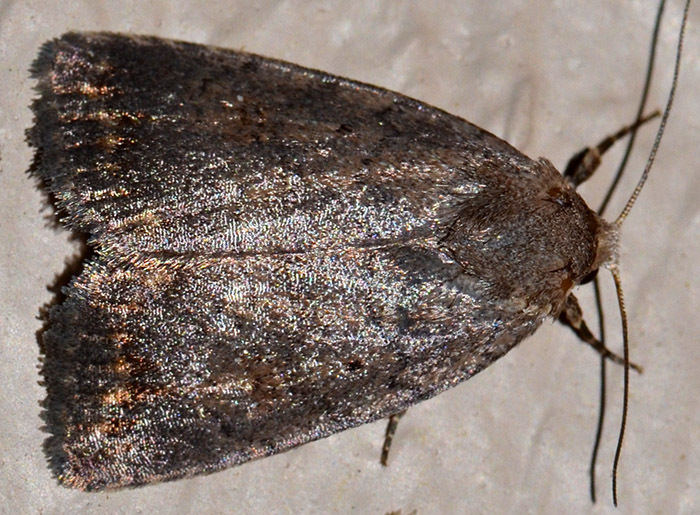 Athetis tarda - Hodges#9650 (The Slowpoke). According to David Wagner's book on 'Owlet Caterpillars of Eastern North America', this moth is very common in oak woodlands. The book also states that the brownish caterpillars are lethargic and will feign death when disturbed.